2-way rear ported design with advanced crossover. 6.5" Aerogel woofer with phase plug and 1" neodymium ferrofluid injected tweeter. Response 69hz - 20khz +/- 3db, sensitivity 89dB. Weight = 13lbs each. So good i bought a pair twice. After selling my first pair and searching for better/more expensive speakers, i've learned that cbm-170se are FANTASTIC speakers under $600. SUPER flat frequency response makes the music transparent. Gone through def tech, paradigm, B&W, Jamo, and NHT. And now back to Ascends... I don't even think a Sierra-2 can be much better. The only downside is that they are ugly as sin! But they sound so heavenly so it doesn't matter. Took a chance on these unheard, to start building a ht system primarily for multi channel music. As a former audio engineer I've had plenty of experience with too equipment but ironically never took my home state seriously so I didn't want to invest a lot to start. After living with these for nearly 2 years now and throwing everything possible at them through Marantz gear, I can tell you that if I were still mixing music I would consider these as nearfield minutes without question. They are tight, neutral (that's a really good thing btw), and extremely engaging without any of the treble harshness usually found in low end speakers. I would think in a typical retail setting these would sell for around $1K/pair, seriously, and sell well at that price. Extraordinary value and the low end will amaze you too--i cross these at 60hz based on my Audyssey XT32 settings and the bass is so rich and complex that I often walk over to the sub and put a hand on it because I can't believe the lows are only coming from the 170s. 30+ years in audio and multimedia and I've never heard a better bang for the buck. The downside? Now I'm determined to get a pair of the now-legendary Sierra-2 RAAL bookshelf speakers, also from Ascend, and I don't know how I'm going to part with these babies. I'm running these as mains with the Ascend 200s as center/surrounds and am simply thrilled. I would describe myself as a musician who is very demanding of audio equipment. I want instruments to sound as they are, without any coloration. Before these speakers I tried a pair of Fluance SX6's that were highly rated and seemed like a bargain for the price but I couldn't bring myself to like their harsh, non-natural, non-detailed sound (to my ears), and after nearly a month of really giving them a chance on a few different receivers and with different sources I was getting frustrated as their free month trial period was ending. Then I found a random post about the Ascend CBM-170SE's on an audio forum and looked deeper into them. I had never heard about this brand before but from how people described the CBM-170SE's, I thought they may very well fit the bill. I had never spent this much on speakers before, but since the others left me disappointed I figured I better pony up a few more dollars. After receiving them in the mail and hooking them up, I queued the first song which was one I am very familiar with. I kid you not, the detail and life that emerged from these speakers was so realistic and natural that I could actually imagine the singer in the room with me. It sent chills down my spine and literally made me start laughing and tearing up with emotion because they were really that good. I immediately boxed up the other speakers and sent them back as it only took one song to know the CBM's are the real deal. They are worth every penny of their asking price, and you can tell a lot of research and design went into these. I don't doubt that you could use them for professional studio monitoring. The clarity with movies is amazing too, and they can get get rather loud for their size if you need them to be. I have them paired with a high quality subwoofer but they do very well on their own with everything but the deepest of bass. I am not an Ascend fanboy, nor was I paid to write this review. I am just a satisfied customer. Thank you. Superb transparent imaging, airy wide sound stage, solid flat full spectrum frequency response. The most satisfying set of speakers I've ever owned. And I've owned Tannoys, klipsch, B&Ws, SVS, Velodynes, Magneplanars, and a couple dozen other brands, many with superb specs, sound and, of course, high cost. The CBM-170s are small, light, precise, inexpensive, very we'll made, intelligently finished and above all, extremely practical! For home use, you can't miss with these outstanding little gems. The black matte finish is durable, scratch resistant and can be cleaned easily. The 170's come double boxed with rock solid internal foam braces making shipping damage nearly impossible with normal handling. Ascend shipped promptly and my correspondence with them was easy and polite. I couldn't be happier with these speakers and Ascend. I look forward to receiving my sub that needed to be back ordered. I want to add my rave review to the multitudes. After over 9 years with these speakers they are just as mesmerizing when I sit and listen to Acoustic Alchemy or Phil Keaggy on guitar. Piano is amazing. I had these hooked up to a Hsu subwoofer but have switched to a $100 Polk 10-inch sub that I stuck into my wall to have it less intrusive in the house. I do not sit and listen to my speakers from a chair spotted in precisely the right spot, mostly I listen to these as background speakers now but every now and then I put on something I know has a lot of detail and just get lost in the music. I like these so much I want to take some apart and install the components in my car so I can take this level of refined sonic character on the road. I am very very particular about musicality but I refuse to spend thousands of dollars because I just don't have time to sit and dedicate the time just to listen. I want all my friends to find out about these amazing speakers that should cost a whole lot more. The life of an audio enthusiast can be an expensive one with changing speakers every week or month which I did once upon a time but sometimes you come across a product so good you're willing to keep it for decades. I truly believe the CBM-170 SE is one of those and certainly has become the standard in which I will measure other monitors. So if you're looking for a pair of bookshelves (at any price), you should definitely give these a try first. My entire experience with Ascend was top-notch. The customer service was great, and very responsive. It's already documented all over the internet that these speakers contain drivers and a crossover that are WAY above their price-range, but you really need to see the speakers to get a feel for the quality. My main concern with these speakers was that they would not be able to compete with the clarity of some of their metal tweeter based competitors like Axiom or Paradigm. I regret ever having doubted Ascend. If there is one word to describe this speaker, it's CLARITY. I'm not a fan of Norah Jones, but she has always had some great recording quality. On some of her songs, you can literally hear the "smack" of her lips opening and closing before she sings! Now, my Polk's sound like someone had covered them with a blanket. I should also mention that these speakers have great dynamics. They're not big by any means, but they can really put out some SPL's for their size! They can easily fill any medium sized room when paired with a sub, and they sound so natural even when they're cranked. Even my wife mentioned that the music sounded like it was being played in the room. There is one downside, though. Now, I need to buy a new receiver just ot make sure that my Ascends properly treated. Forget about the competition and take the plunge. You won't be disappointed. Paid $80 for a used pair and I was pleasantly surprised by the quality of the sound these speakers produce. Don't buy them if u are concerned about how they look.... they look quite ugly and cheap except for the binding posts. I compared them with my NHT VT 1a floor standers and the CBM170s have a much wider range comparatively. I drive them on my Nakamichi AV-1 and cant even increase the volume to 15-20% in my decent sized living room. These dont have any artificial bass or any artificial warmth seen in most medium priced speakers. A friend of mine says these sound very much like his Paradigm Studio 20s, thats quite a comparison considering the price difference. Picked these up for $298 on Black Friday and man do they rock. I typically only build my speakers because honestly the price/performance ratio just isn't there on mass produced audio equipment. But, I'd been hearing a lot about Ascend on the various audio forums, so I'd been wanting to give them a shot and for $298 I figured why not. I only have one pair of commercial speakers to compare these against, which are Paradigm Studio 20s I purchased in the early 2000s, before I discovered the wonders of DIY. Compared to the Studio 20s, the Ascends blow them away for about half the price. They reproduce music so accurately it's really quite astonishing. In my room I measured about +/- 2 dB from 70 Hz - 18 kHz...pretty incredible for a sub $300 speaker! The highs are airy and let you "see" into the music better than any commercial speaker under say $750 that I've ever heard. They are missing some bass. These don't go much lower than 60 Hz. But, what is there is punchy and accurate. No fake boom to make these sound deeper than they actually are. In terms of build quality, they are very good. WAF isn't there, because honestly the finish is pretty ugly, but the cabinet uses pretty thick MDF and is well braced. 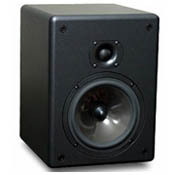 The drivers are high quality, manufactured by OEMs with pretty prestigious reputations, and supply drivers to some speaker manufacturers for use in speakers that cost in the thousands of dollars. The tweeter, made by SEAS, is the real star, but the Audax woofer is excellent as well. They really work well together. Finally, you have the crossover which you can tell had a lot of work put into it. This is not a single capacitor used simply to keep the speaker from blowing up, which is what you'd find in the typical sub-$300 speaker (and sub $1000 for that matter). This crossover is actually doing something! Ascend doesn't skimp here either using pretty high quality air core inductors and bypass caps. OK, I'm done rambling. In a nutshell, these are a great alternative to DIY and far superior to anything you'd find your typical "audiophile" shop. Honestly, I'm not sure I could build complete speakers for $300 that sound as good as these. Great tweeter, airly highs. Midrange is spot on. weak low end, but, of course are meant to go along with a sub. I purchased these speakers as rear surrounds to complete a 5.1 system. My setup consists of a Panasonic sr55 reciever, paradigm studio 20s as LR and a 470 center. Basically I wanted an inexpensive way to complete the setup without resorting to buying another set of studio 20's. (aiming to get studio 60's soon). Anyway, these speakers fit the bill perfectly. Had no expected such quality, but they sure come close to the studio 20's, for half the price. The timber matching is off slightly, but far closer to my mains and center than I ever expected. Highs are airy, midrange is full, and imaging is quite wide. I am getting a VTF2.3 to complete the setup, and I have no doubt that the 170s will shine with the low end support. Additionally, the time I did test the 170s as mains when I first purchased them, I did hear a small but distinct difference between the tweeters of the 170's and those of the 'digms. The studio 20's are ever so slightly crisper w/dialogue, and in the upper harmonics of explosions and the like, this is probably due to the 170's soft dome tweeters vs the studio's aluminum one. As I've said the difference is slight, and the 170's are quite a phenomenal value.